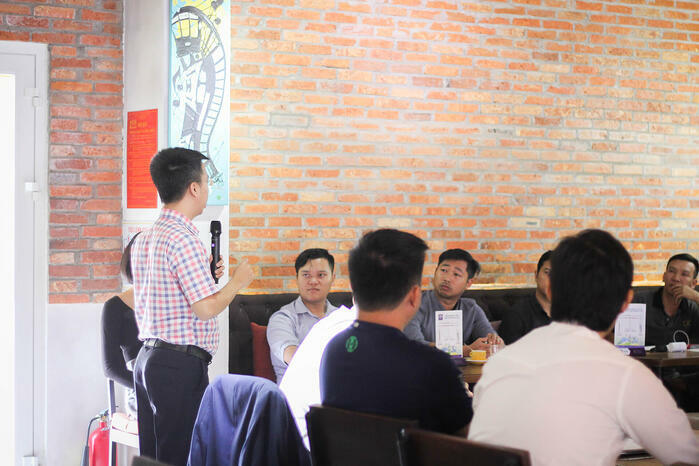 Today event welcomed two reputable speakers: Mr. Thanh Nguyen - Cloud Services Director from TRG International, and Mr. Vu Luu - Country Territory Manager from Amazon Web Services Vietnam. With more than 20 years working in the Information Technology field, both abroad and in Vietnam, with tech giants like Microsoft, IBM and Amazon Web Services, Mr. 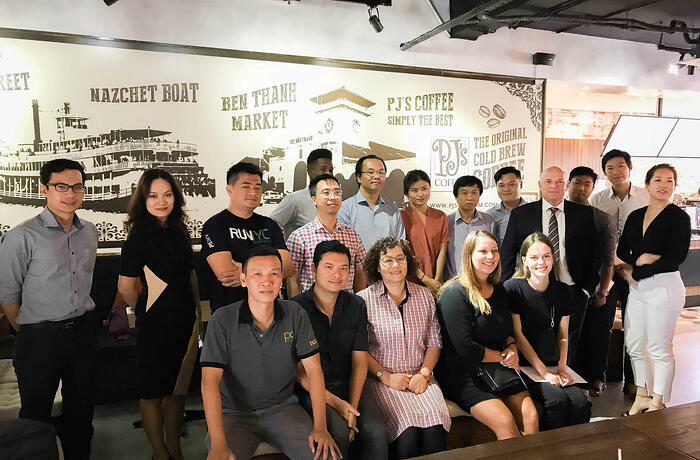 Vu is one of the most knowledgeable and inspiring speakers on the topic of technology management in Vietnam that TRG ever had the pleasure to meet. The event began with Mr. Vu asking the participants why they were here, and what they would like to get out of this event. Most of the participants were curious about how cloud computing works and what benefits cloud solutions can bring to their businesses. Mr. Vu explained that cloud computing is an IT paradigm allowing users to access data instantly without having to keep the bulk of that data on their own computers. In fact, most people already use a variety of forms of cloud computing services without even realising it, for example, Gmail, Google Drive, TurboTax, and even Facebook and Instagram. For all of these services, users are sending their personal data to a cloud-hosted server that stores the information for later access. As useful as these applications are for personal use, they are even more valuable for businesses that need to access a large amount of data over a secure, online network connection. One of the main outstanding advantages that cloud storage has, according to Mr. Vu, is Cost Saving. Cloud-based services can help you save money, including server maintenance, power and cooling costs, and software licensing and upgrade expenses. Instead of spending money to maintain hardware that often goes unused, cloud services offer a subscription-based fee which can help small businesses to stretch their budgets further. Cloud also offers a wide range of services that can relieve your company’s IT function and allow you to concentrate on your core business. Along with the ability to scale up to meet increased demand, the Cloud also allows you to scale down during slower periods, helping your business to save even more. As your database and server are in the cloud, the risk of losing data due to natural disasters or a third-party fraud is extremely low. You can even just try the cloud service for 1 month, and if you don’t like it, you can always go back to what you used before. TRG Talk Cloud takes place every month and acts as a knowledge sharing platform for individuals in every position to approach Cloud Technology. 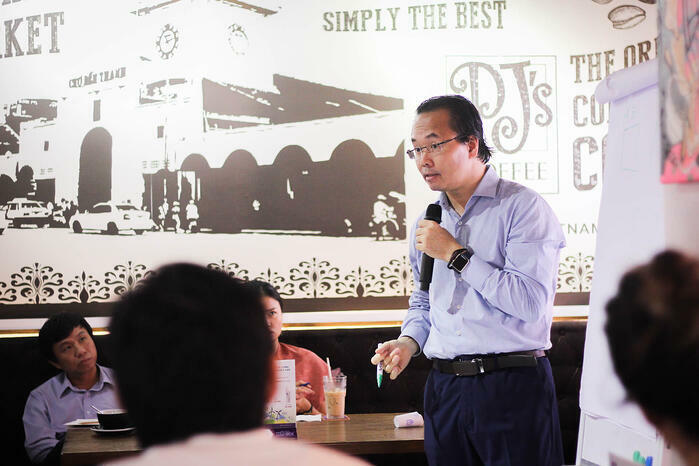 At the same time, the talk also opened up new opportunities for businesses who have been using Cloud Technology to have a better understanding about the advantages, challenges, as well as the endless possibilities, and capabilities of Cloud Technology. See more photos from the talk here.